Zwei süße Muffins flatterten mir, liebevoll verpackt, kürzlich ins Haus. 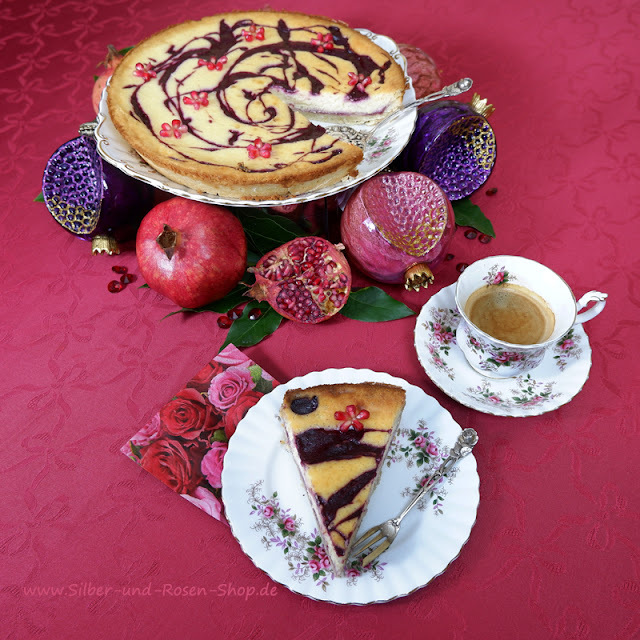 Mit Liebe gebacken und mit Liebe verpackt und nun sind sie mir. So ein Glück. Ich teile sie mit dir zur Teestunde. 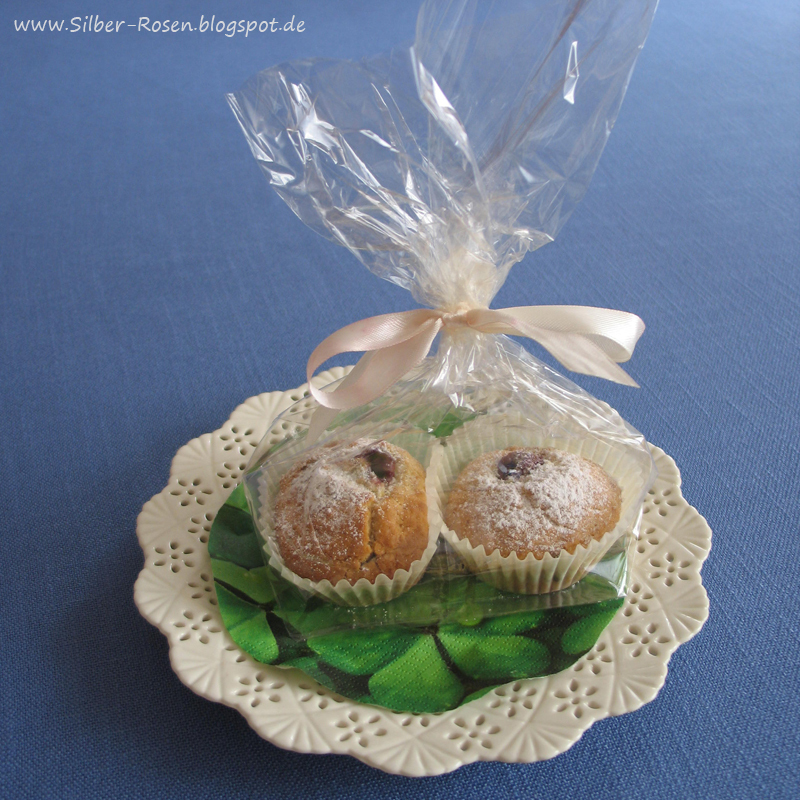 Two sweet muffins fluttered me, lovingly packaged, recently into the house. Baked with love and packed with love and now they are mine. What a luck. I share them with you at tea. Auf der Ambiente fand ich diese schönen Dekoartikel mit Klee. Auch ein Glücksfall, denn bald ist St. Patricks Day und Alle mit Bezug zu Irland lieben es, mit dem irischen Wahrzeichen zu dekorieren. 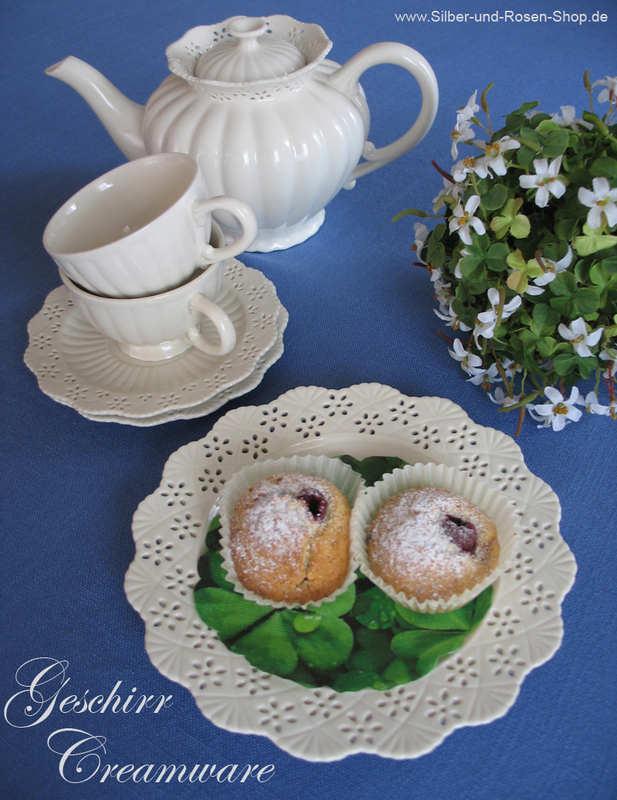 At the Frankfort Trade Fair Ambiente I found these beautiful decorative items with clover. A stroke of luck, because soon is St. Patrick's Day and all related to Ireland love to decorate with the Irish Shamrock. Das Cremware Porzellan habe ich schon länger. 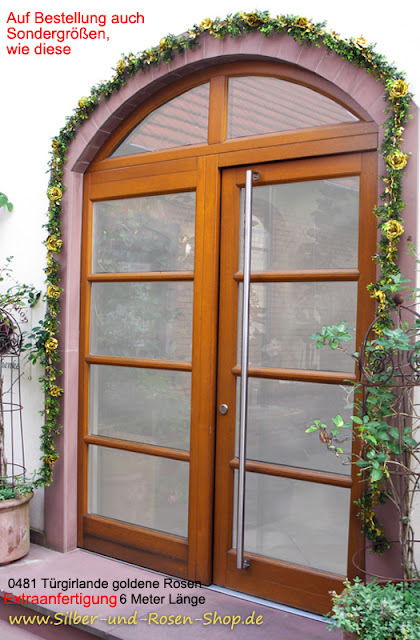 Es passt hervorragend zum Thema Irland, denn dort haben gleich mehrere bekannte Firmen solches Porzellan hergestellt. Ich war noch nie in Irland, aber für mich sieht diese Deko stimmig aus: Blau wie das Meer, Weiß wie die Gischt und Grün wie die Insel. The Cremware china I have since several years. It fits perfectly with the theme of Ireland, because there are several well-known companies which manufactured such porcelain. I've never been to Ireland, but to me this decoration looks good: Blue like the sea, white like the spray and green for the island. Das hausgebackene Küchlein war sooooo lecker. Schön, dass du diese kleine Freude mit mir geteilt hast. The homemade cake was sooooo delicious. Nice that you shared this sweet joy with me. Oh wie schön, liebe Johanna - das Thema Irland passt ganz besonders gut zu unseren heurigen Urlaubsplänen! Und grün mit weiß wirkt herrlich frühlingsfrisch! Johanna, your teatime treats are lovely. Wish I had a bite of one of those little cakes for my afternoon tea. I featured the beautiful candle you sent to me in my current post. Thank you again for such a lovely gift. I love the dishes. They are substantial, but at the same time have a delicate feeling. The pastry sounds yummy! Oh, Saint Patrick's Festival is a big thing here in our Town of Dublin. For weeks they have special events lined up. 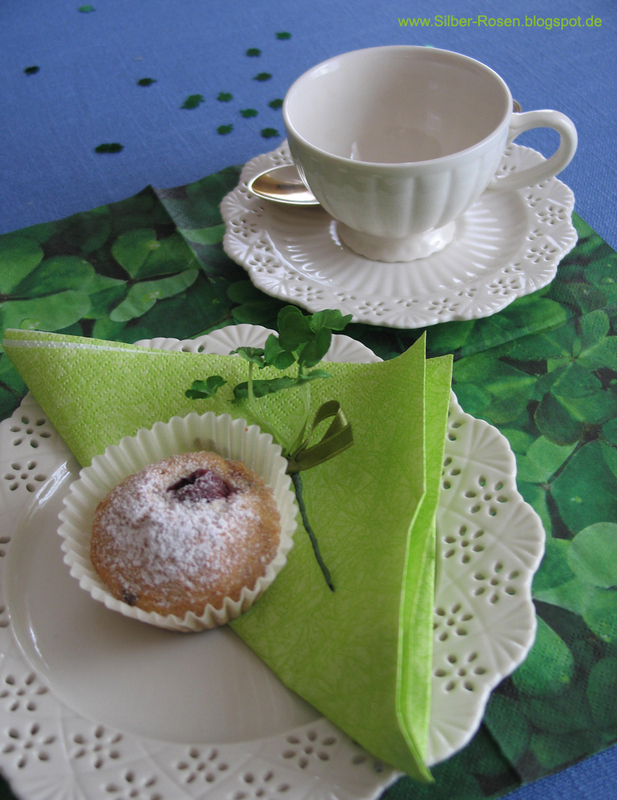 But nothing as lovely as your perfect tea setting with shamrock napkins and creamware china ware. Both of us have done quite a lot of work, giving seminars, all over Ireland and I can tell you it is a lovely country. Hugs to you and enjoy the new week. Your creme-color china is perfect with shamrock green. Such a lovely teascape for St. Patrick's Day. Yummy looking treats, too! Happy Tea Day! Das Grün wirkt so schön frisch. What a lovely tea for St. Patrick's Day, Johanna. I would love some cake and a cup of tea with you. My late beloved husband and I visited Ireland back in 2009. Your little cakes look delicious and I love your creme-ware! A perky tea set in green for St Patrick's Day is so very welcome. Wish I could join you. 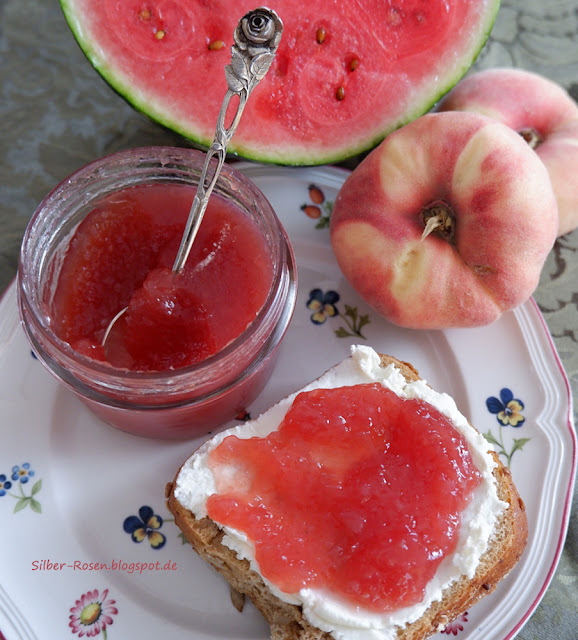 Thank you for stopping by to have tea with me and enjoy your week. I love the lacy design of your pretty cream teawares! What a lovely presentation Johanna! Your table looks so festive and ready for fun! Have a lovely weekend! Hi Johanna...haven't posted much and how nice to see your sweet comment! 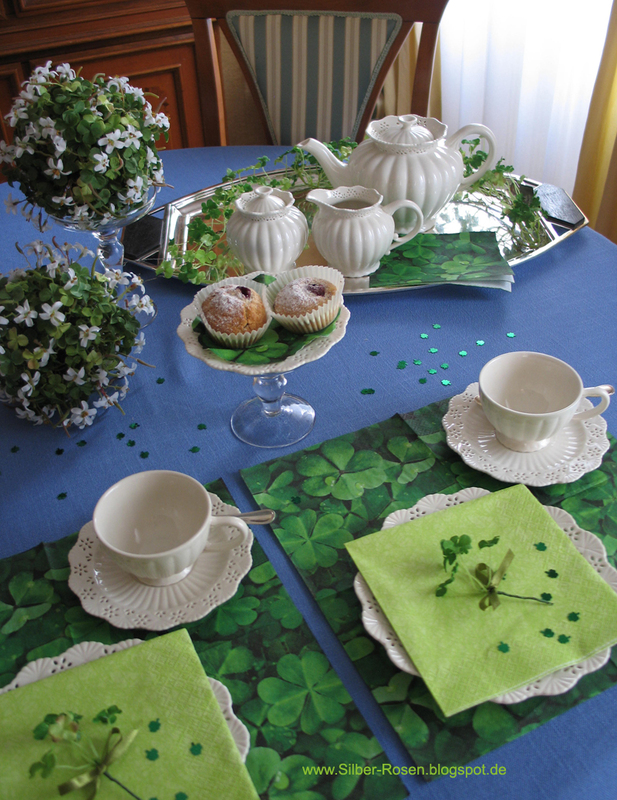 I love your St. Patricks Day tea table...beautiful!